Some wearable tech has been dubbed toys for rich people, at least in their current form. So it makes sense that luxury smartphone maker Vertu, you know, the ones who sell £10,000 phones made from hyper fancy materials, is considering an entry into the wearables space. We don't know if we will see a smartwatch or perhaps some smart jewellery from the brand but Vertu's CEO Max Pogliani told CNET: "This is an interesting space for me. I think it is getting to a level of maturity which is worth having a look for us." As usual, Pogliani claims Vertu could really do something different rather than bring out a me-too device or, say, a range of Apple Watch straps like the recent Hermes collaboration. "How Vertu can fit in this space is what we are looking at at the moment," he said. "For us, it will not be just another product -- it has to deliver the full DNA in terms of design, materials and functionality." 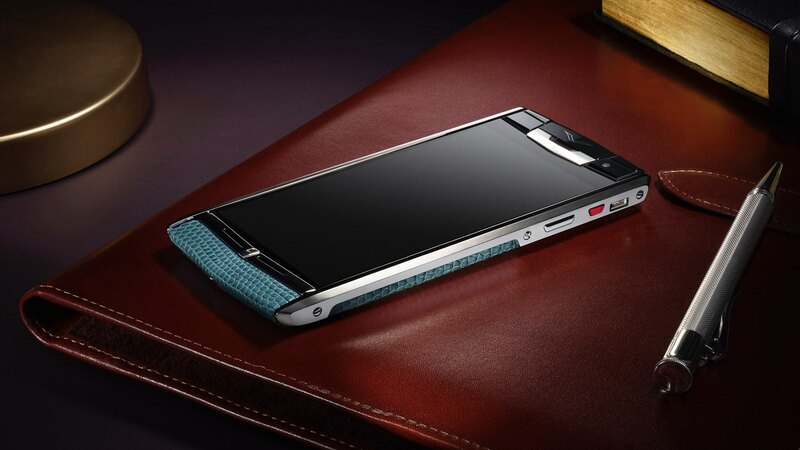 Aside from the use of alligator skin and sapphire crystal displays on smartphones such as its new Signature Touch device, Vertu's strength comes from its human concierge service that treats users like VIPs, when in all probability, they already are. We could see a smartwatch or a piece smart jewellery similar to the (up to) $150,000 Armill by Christophe & Co - the NFC and Bluetooth connected 18K gold, diamond and precious stone-encrusted bracelet with a one touch button to connect to a 24/7 concierge service and which gets the wearers into all sorts of exclusive events. It's a good model for Vertu to follow and the cheapest model is actually only $75,000.